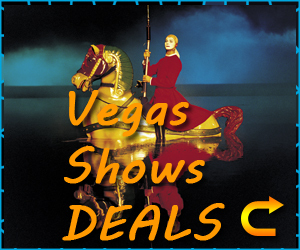 Mystere is another amazing production by Cirque du Soleil in Las Vegas. 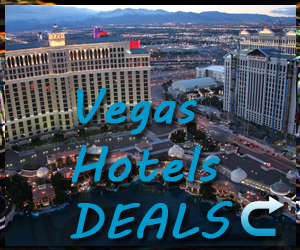 This Las Vegas event features everything you would come to expect from a show in Las Vegas including clowns, acrobatics, amazing costumes, stages, make up and of course, the exceptional talent and skill of the performers. 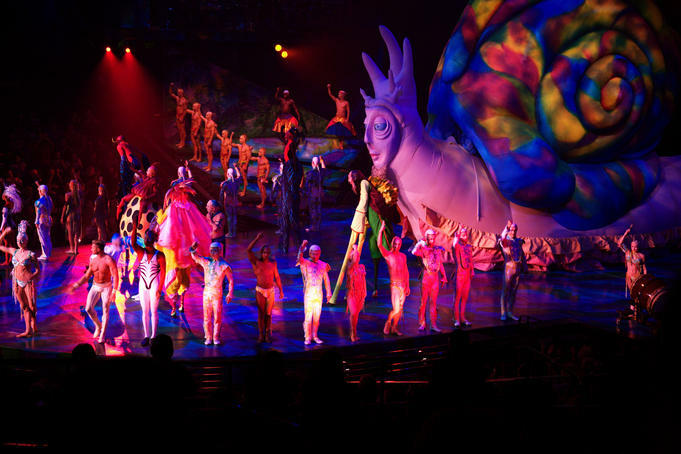 The incredible team at Mystère always put in a once in a lifetime performance for every show and ensure that the crowds leave satisfied and wowed with what they have seen. 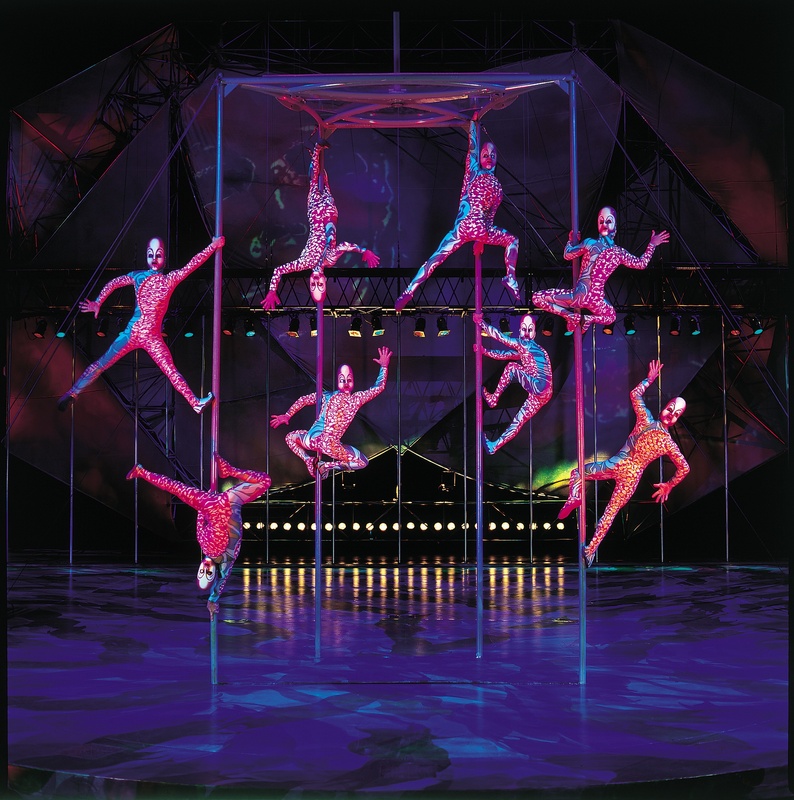 Mystère provides a complete spectrum of entertainment, from the amazing skill and acrobatics of the performers right through to the set, the colours and the lighting used. Mystère first premiered at Treasure Island Hotel and Casino in 1993 and continues to amaze and captivate audiences in the modern day. 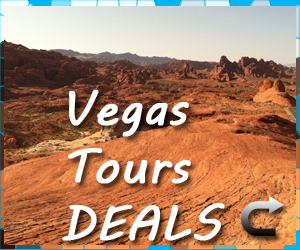 Acts like the infamous Aerial Cube (where a large metal cube is juggled by the performer as he performs dance and ballet while soaring through the air) is typical of the high risk, highly entertaining magic you can experience at Mystère in Las Vegas. Other classic circus tricks performed include the Korean Plank, which is altered slightly by the Mystère performers to impress guests even more. 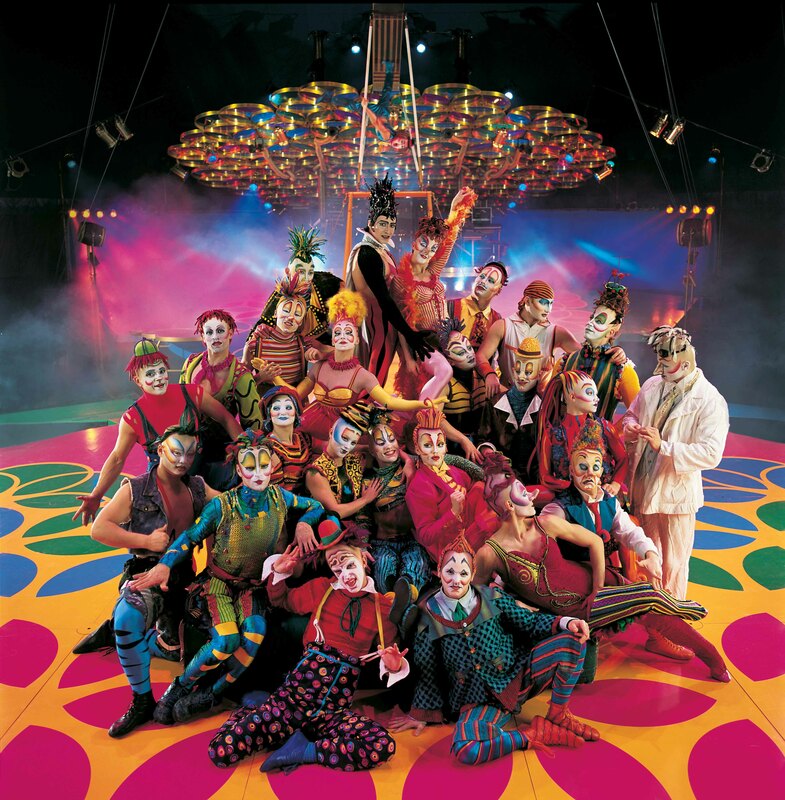 Since its opening in 1993, Mystère has never looked back. The performances leave guests on the edge of their seat and wanting to see more. As the first beat of the Japanese taiko drum comes down, you can tell you are truly experiencing something special. The stage is masterfully created and controlled by the performers, who consist of practically perfect athletes who make their skill look effortless to the crowd. The performers dart across the stage, up and down between Chinese Poles, using their immense upper body strength to balance against each other, hand to hand. 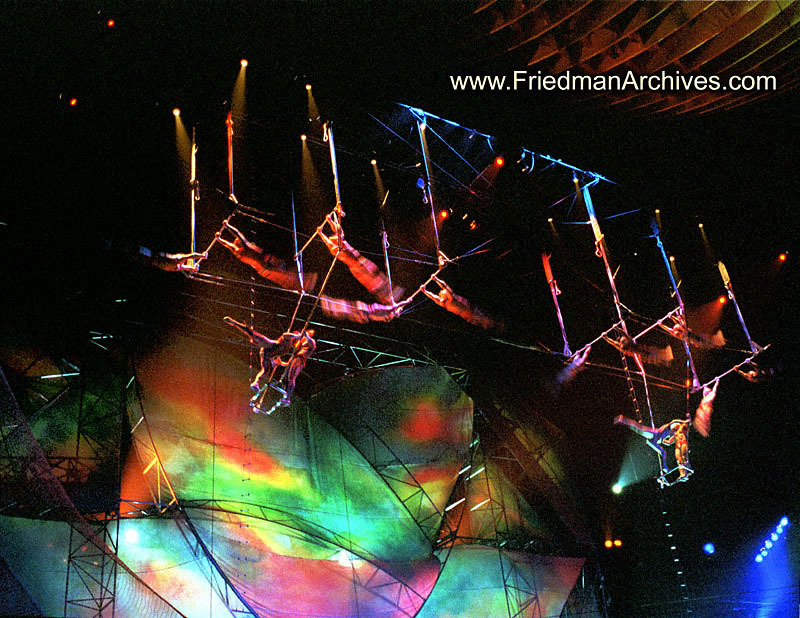 As the show continues, acrobats fly across the ceilings using swings while constantly staying in character and putting a dazzling show on for the crowds. 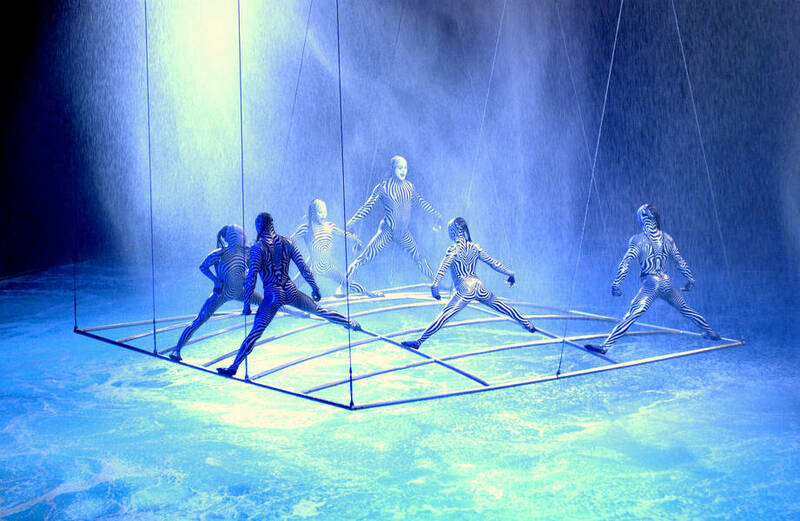 The show really does have everything, and the characters are portrayed with a typical perfection that you would expect from one of the first shows put on by Cirque du Soleil. A giant baby chases a huge orange bouncing ball across the stage while a clown randomly appears throwing popcorn playfully. The characters are well thought out, funny, entertaining and compliment the tenacity of the performers expertly. Accompanying the controlled chaos on stage are sounds produced by live musicians and singers. The soundtrack mixes Funk, Celtic, African and Rock in medleys to go in time with the performance and compliments it perfectly. 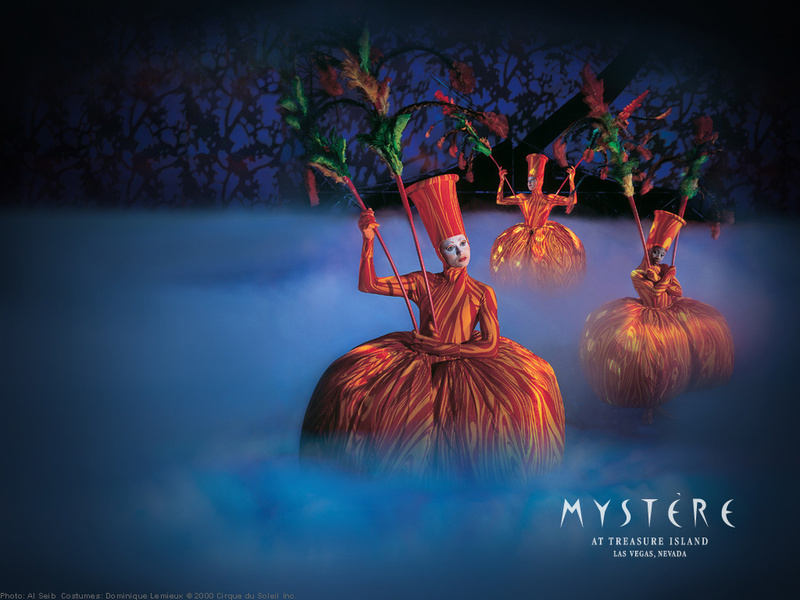 Mystère, which is described by director Franco Dragone as “a celebration of the cycle of life,” takes place in a semi-round theatre at the Treasure Island Hotel and Casino in Las Vegas. In keeping with the circular theme that this Las Vegas show represents, the globe shaped ceiling features several art pieces and the whole theatre is perfect for this kind of production. The same Taiko drum sounds to end the performance and you are brought back to reality having experienced one of the best shows that you will ever see, at Mystère in Las Vegas.